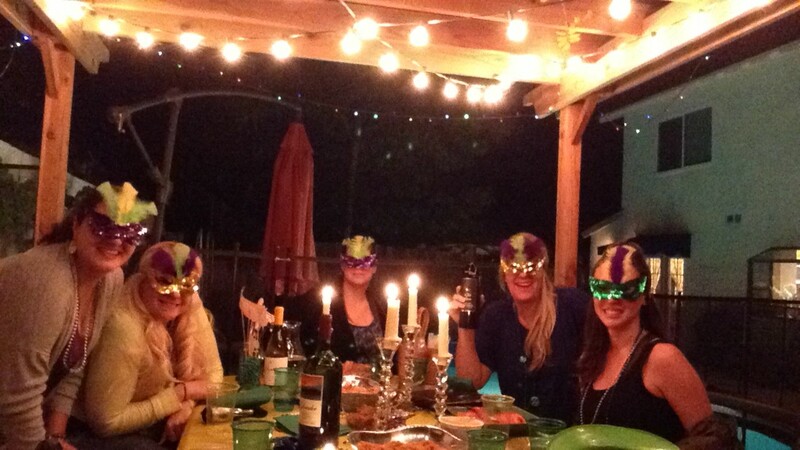 A few weeks ago my friend Erin and I hosted a Mardi Gras dinner for a few of our friends at her place. We had such a fun night! 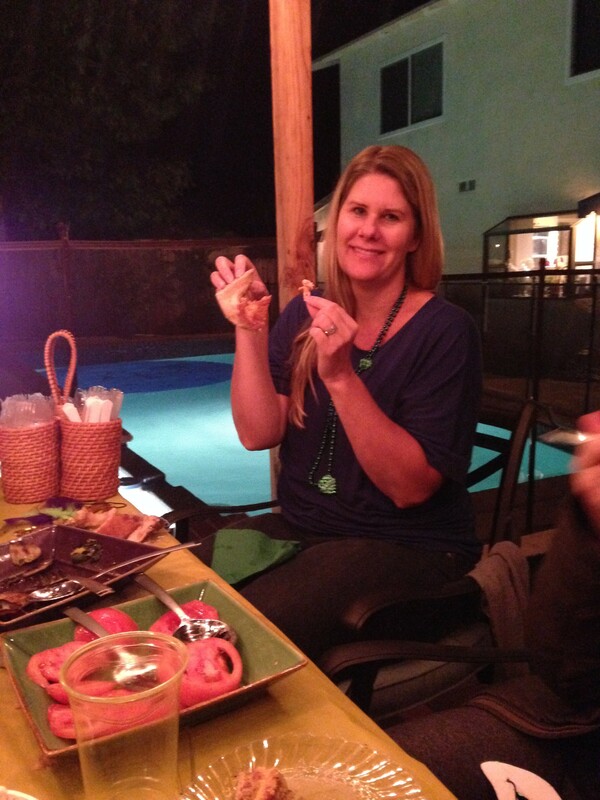 I was nice to get away from our homes and have moms night in. 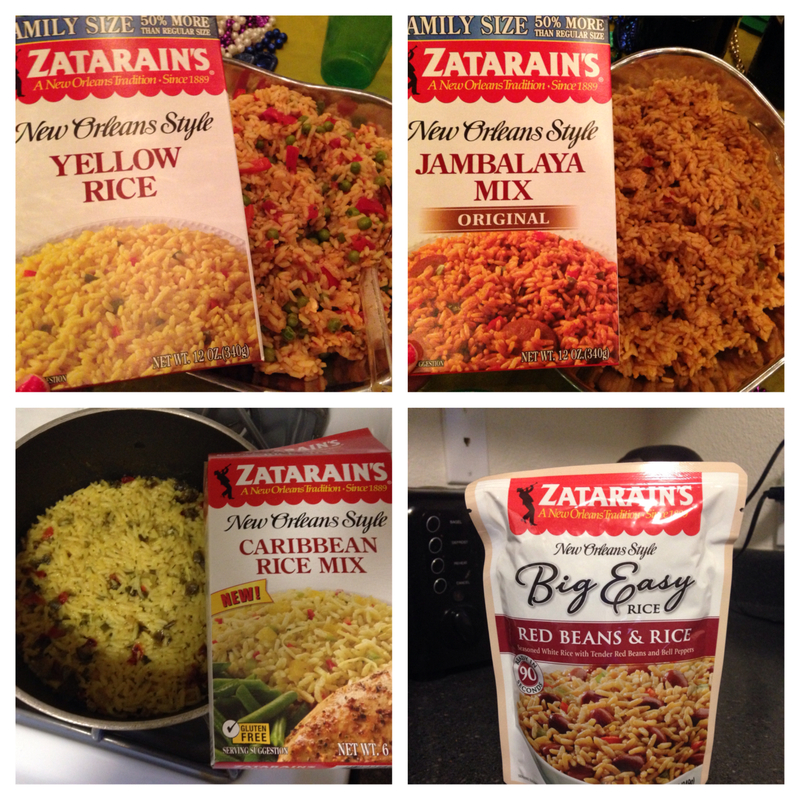 Thanks to the help of Zatarain’s, I was able to make a few yummy dishes for my friends. 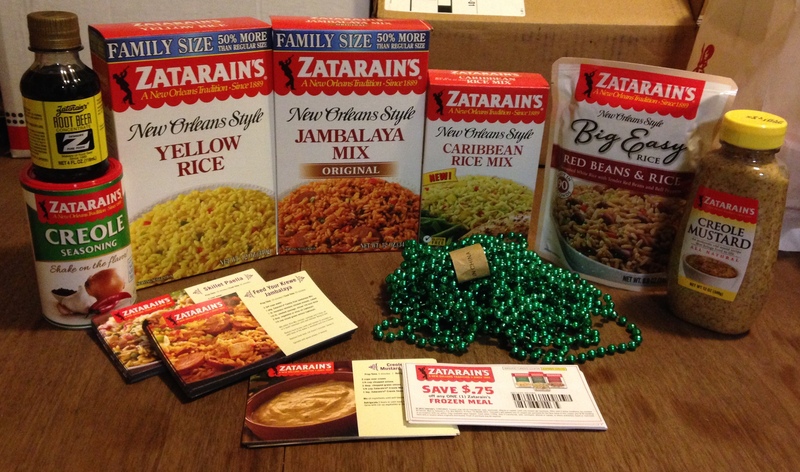 I made the following, Feed Your Krewe Jambalaya, Skillet Paella, Caribbean Rice with chicken, Red Beans & Rice and Creole Mustard Dip. Everything turned out delicious! Our favorite dish of the night was Skillet Paella. 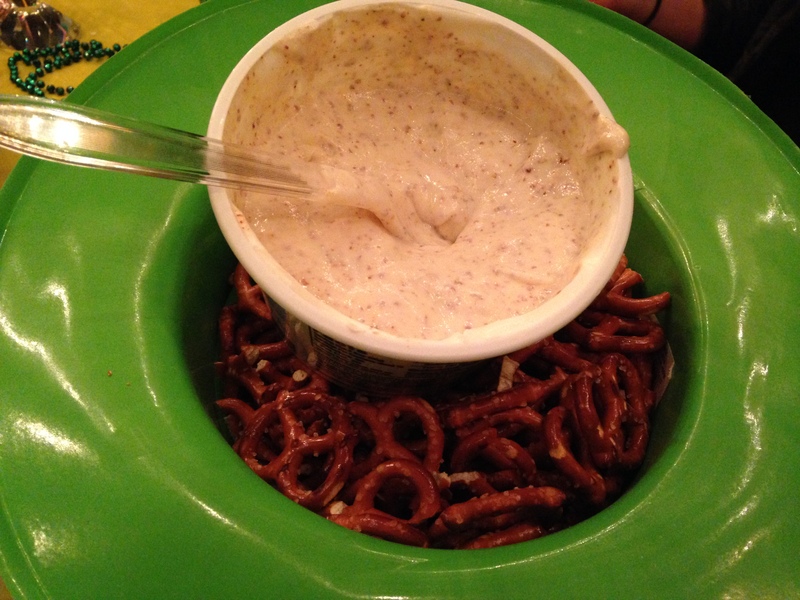 The Creole Mustard Dip paired with pretzels was also a crowd favorite! The flavors were so addicting!! 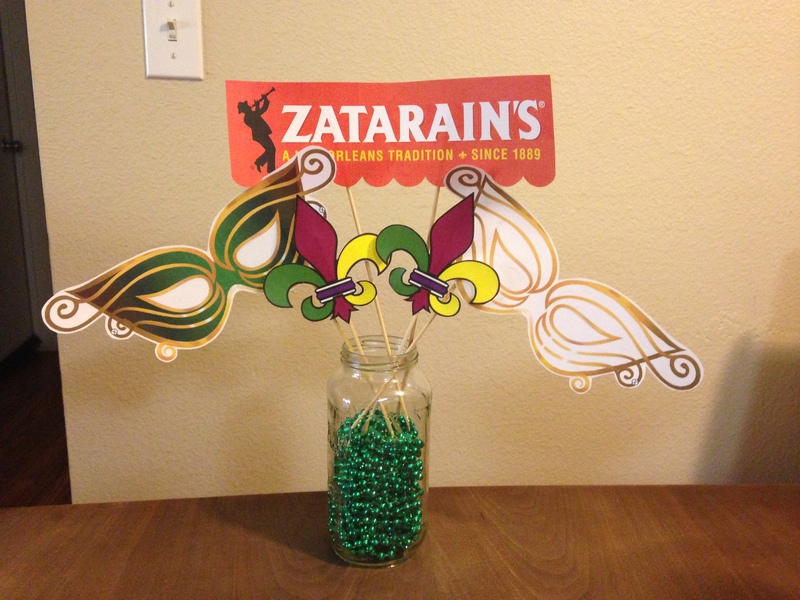 To tie in the Zatarain’s theme, I made a center piece by taping Mardi Gras symbols on wooden kabab holders and placing them in a mason jar filled with beads. My friend Erin set up a beautiful table outside where her hubby hung twinkle lights for our special event. 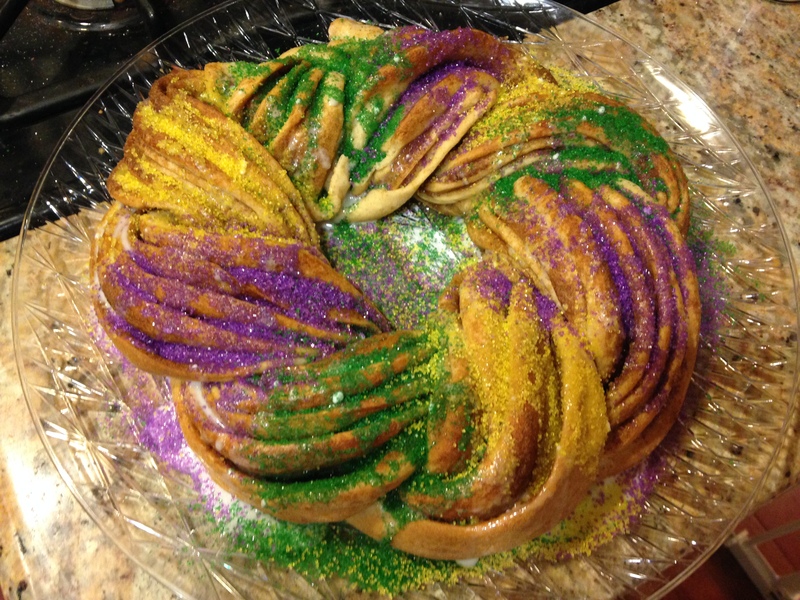 Erin also made an amazing King Cake! Our friend, Torrie was the lucky one who found the hidden baby! 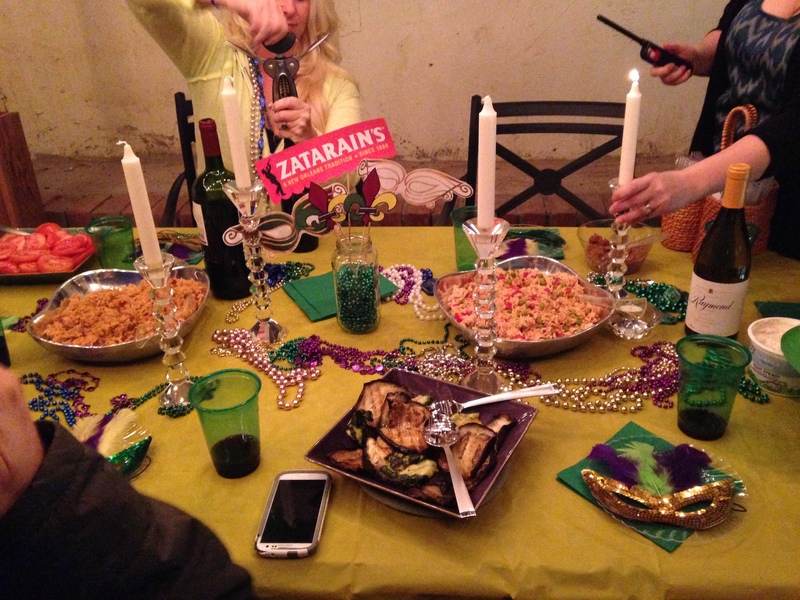 It was a fabulous night in with my mama friends! 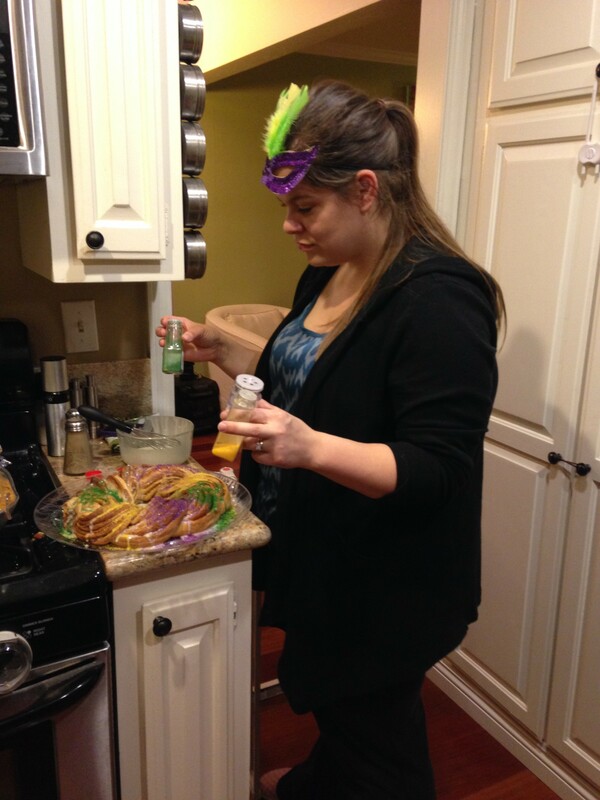 Everyone was sent home with recipe magnets and a full belly. 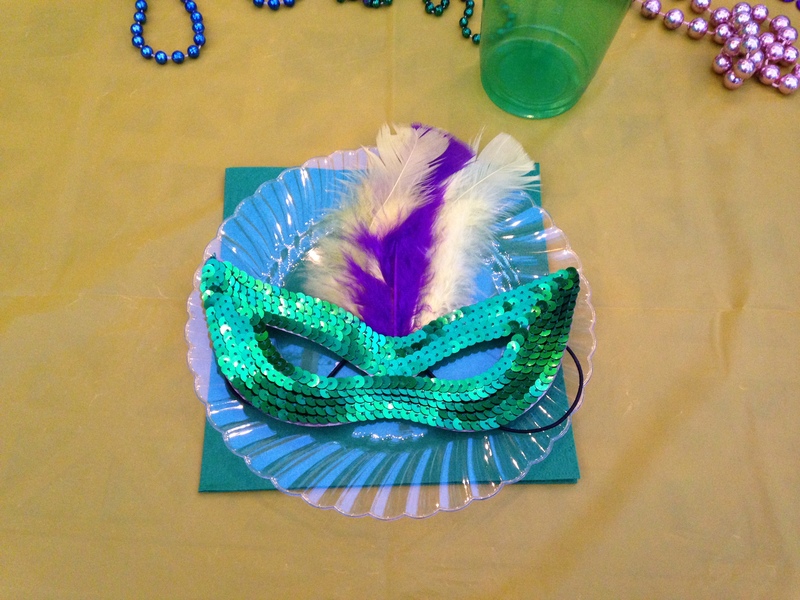 Thanks for the fun night ladies and Happy Mardi Gras friends! 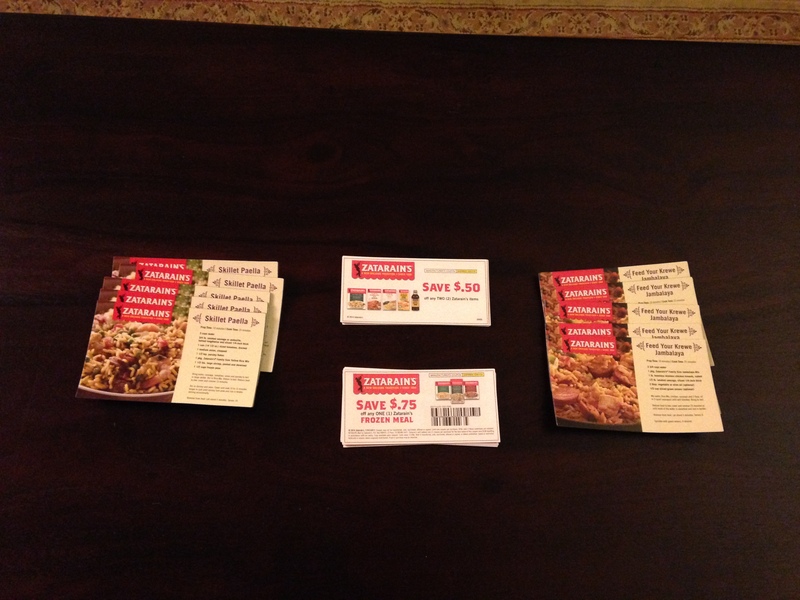 Disclosure: As a House Party member I received these products for review. However all opinions and ideas expressed here are my own.